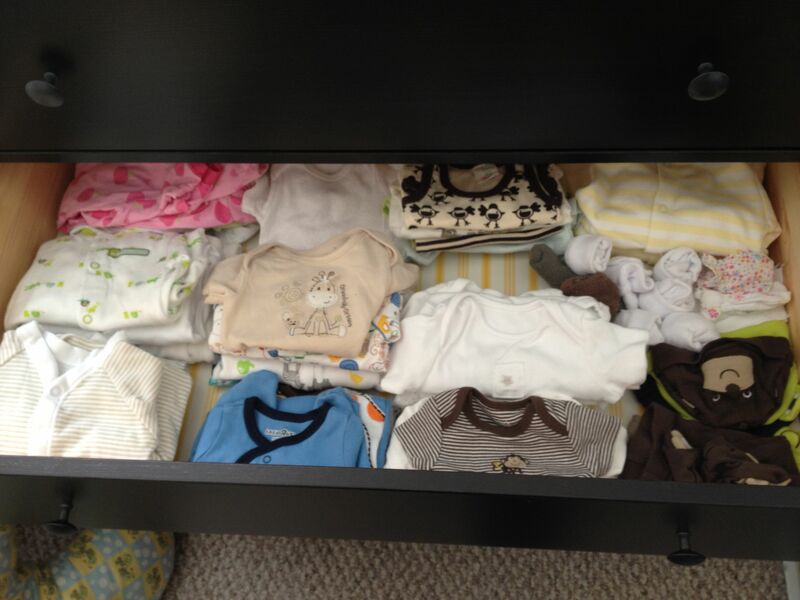 The time is approaching: Baby is due in 5 weeks and 1 day. I can hardly believe it! So much has happened since I found out I was pregnant and that we were moving to the west coast of America. You can catch up on what we’ve been up to since moving over on Letters Home. So, to the craft. As you can imagine I’ve been itching to get making for the baby’s room for quite some time but the arrival of my craft supplies (and other important things like furniture) from the UK has really kicked me into action. I still have some projects on the go so this is the first post of probably about three or four about what I’ve made or am making for our little one’s first room. We’re renting so painting wasn’t really an option – and even if it was, it’s not something we have time for. So decorating the walls in other ways was high on my list of things to do. The very first thing I made was this handsome chap. 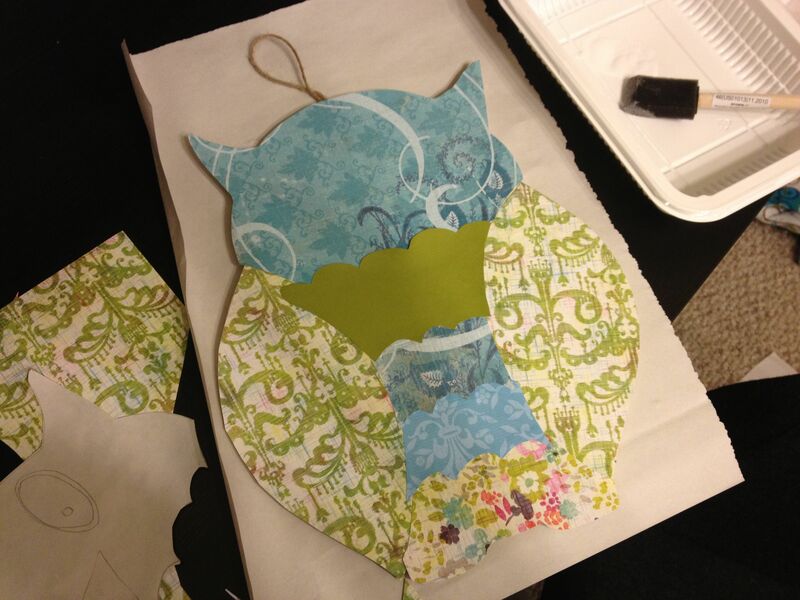 I picked up the wooden owl shape from Michaels. But you could just as easily cut one out of some sturdy cardboard (corrugated would be best). 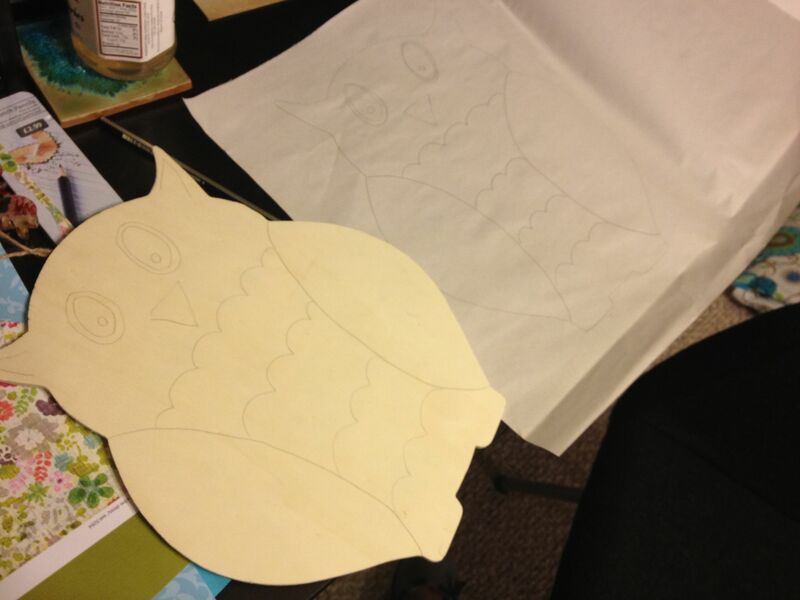 I then drew around the owl onto some paper (thin cardboard would be better) and divided it into the shapes of wings, feathers across the chest, head etc. 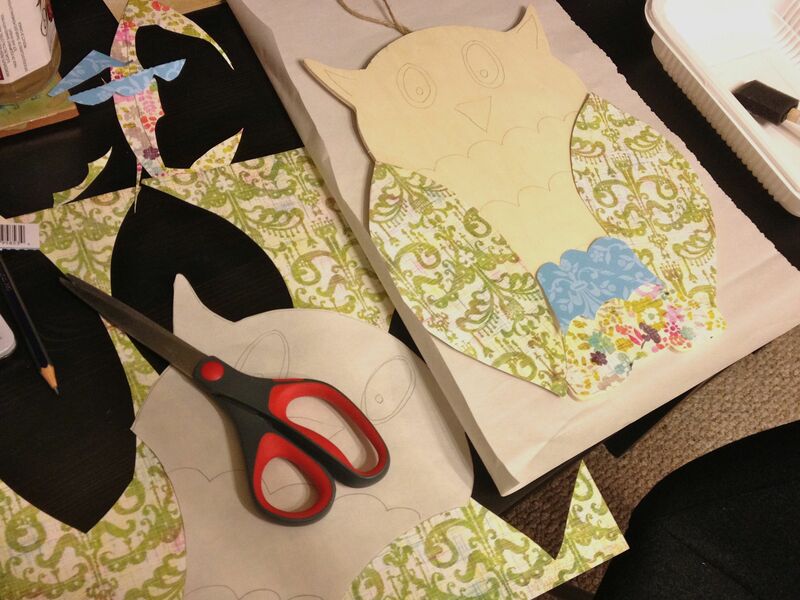 I used them as a template to cut out pretty scrapbook paper which I then pasted onto the wood using Mod Podge (PVA would do fine too). 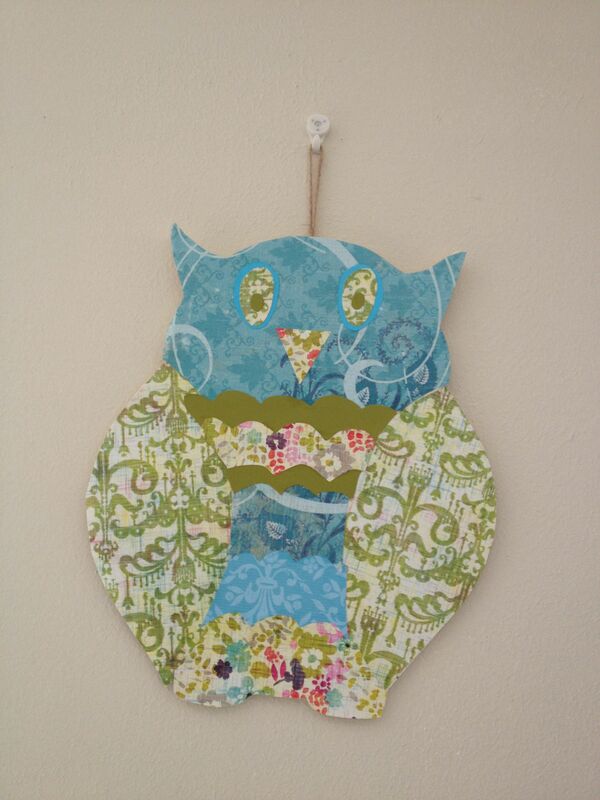 You could make this for virtually no cost if you used cardboard and paper or fabric scraps you already own. It would be fun to personalise it with your baby’s name too. As we don’t know if we have a boy or girl I can’t do that yet but maybe later. And that’s it. 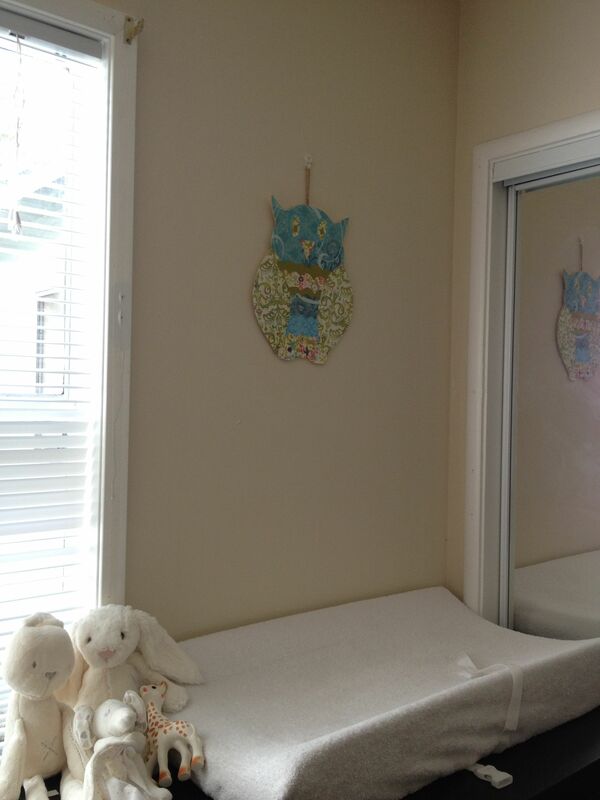 Here he is hanging over our changing station (the drawer unit is from Ikea, along with most of our furniture). Part 2 to follow very soon and it’s my favourite project so far. I made this on the same trip as the rubber stamp so I’m a little late posting it, I hope you forgive me. On the plus side it means you’ll be getting another crafty treat this weekend when I write up this week’s fun project. 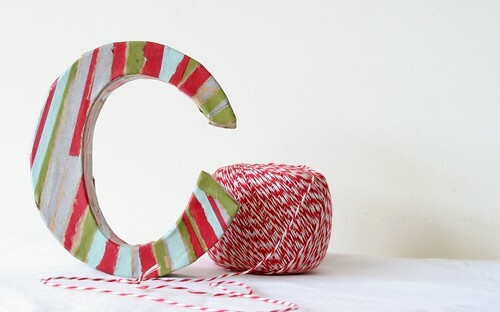 I bought a plain letter C from Paper Source (my new favourite shop, how I wish there was one in the UK) and used mod podge (PVA will do just as nicely) and tore strips from the store’s paper bag to cover it. Could it be the easiest craft in the world? I think so.